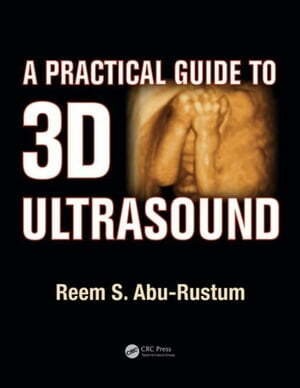 Collins Booksellers - A Practical Guide to 3D Ultrasound by Abu-Rustum, Reem S., 9781482214345. Buy this book online. A Practical Guide to 3D Ultrasound was conceived with the beginner in mind. The guide summarizes the basics of 3D sonography in a concise manner and serves as a practical reference for daily practice. It is written in easy-to-read language and contains tables summarizing the step-by-step instructions for the techniques presented. Following introductory chapters covering the various technical aspects of 3D ultrasound, the book covers clinical applications of 3D ultrasound in the first trimester and for the fetal cardiovascular, genitourinary, and central nervous systems. Clinical applications of fetal anatomical structures such as the skeleton, chest, face, and gastrointestinal tract are also discussed. In addition, the clinical applicability of 3D ultrasound in obstetrics and gynecology is explored. The book is highly illustrated and contains more than 350 ultrasound images, many in color, corresponding to the techniques discussed. A table of practical tips is also included at the end of every chapter. This book is a practical and comprehensive reference for the basics surrounding 3D ultrasound.